Boot camps are military-style institutions for defiant and disrespectful teens who have a problem with authority. They learn discipline and structure through military exercises, and rigorous physical training. The theory of boot camp is that a swift "kick in the pants" will turn around a child who has probably been acting out for years. But in a lot of cases just a short term boot camp will not be enough for a teen to turn his or her life around. Boot camps work great if they are followed by a boarding school or other longer term program. There are many types of boot camps. 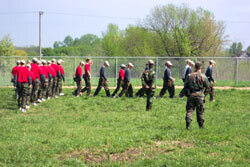 Some are state-run boot camps which are substitutes for juvenile jail or prison boot camps. Others are privately run, each facility being different in many ways. Typically the privately owned boot camps seem to have a greater affect on teenagers. Surprisingly, the recidivism rate of juveniles who attend state-run boot camps has been said to be as high as 94%, while overall privately owned boot camps have a much lower rate. Boot camps can also be long term ( military based boarding schools) or short boot camps (summer boot camps). Privately owned boot camps and troubled teen schools will typically range in price from $2,000 to $9,000 per month. 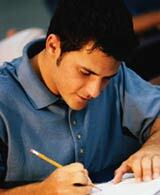 Some offer different types of financial aid such as a student loan. Monthly payments can be as low as $200 per month. 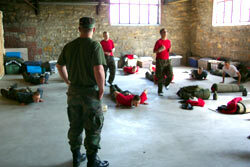 Overall, boot camps usually have a definite impact on a teen especially the defiant and disrespectful ones. However, for a lasting change to take place, a boot camp usually needs to be followed by a longer term program such as a boarding school.